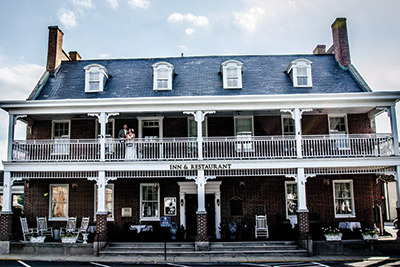 The wedding was held at The Brick Hotel in Georgetown, Del. The happy couple poses for a portrait. 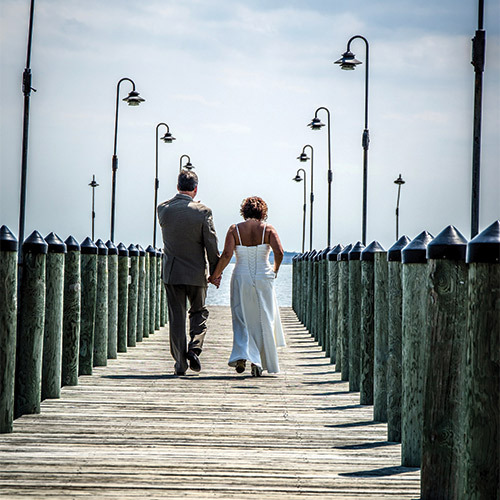 The couple takes a romantic stroll on a pier. 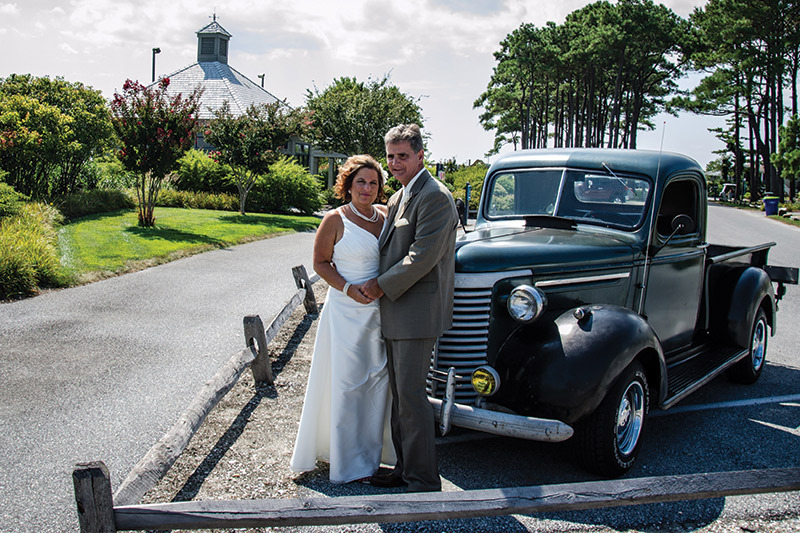 When a country boy and a Jersey girl wed, they made sure the ceremony reflected their love—and their loves. 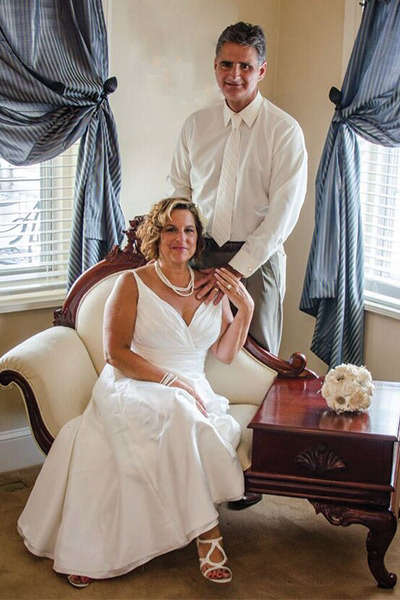 For Donna and Roland Warrington, timing is everything. 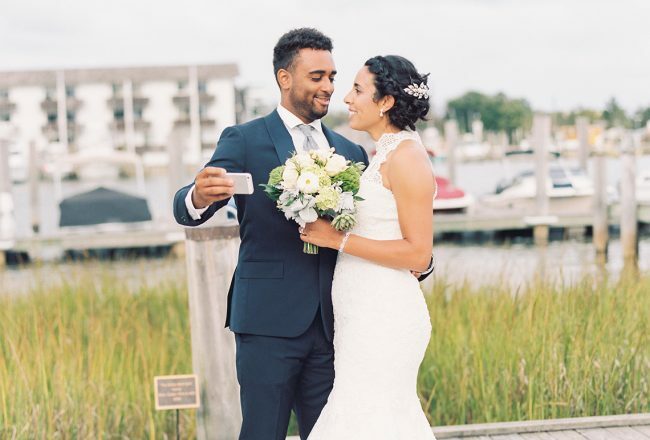 The couple met in 2011, but they didn’t date until early 2015. Sparks flew immediately. 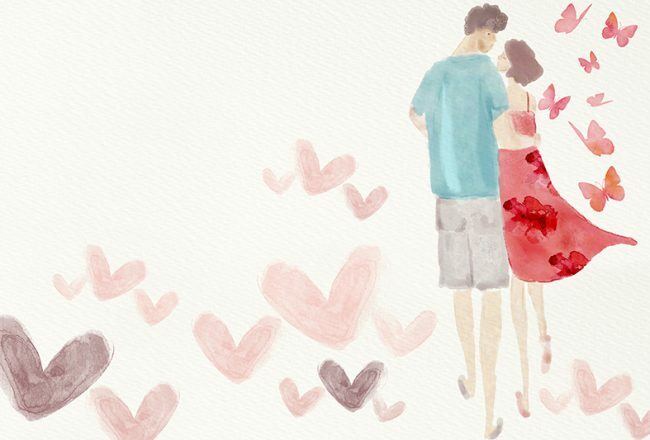 “We recognized what we had in each other, and we didn’t want to let it go again,” Donna recalls. 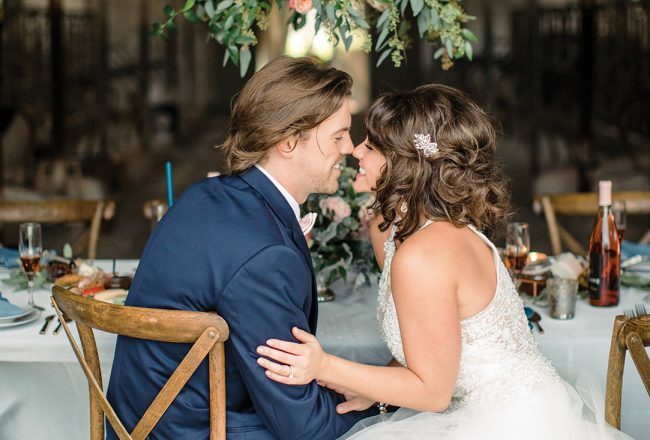 Six months later, they were married in an intimate ceremony that reflected their personalities. It was also laced with artisans’ ingenuity. Both Donna and Roland had been married before. Donna, married for 25 years before her divorce, had four children. Born in New Jersey, she had moved from Pennsylvania to Millsboro, Del., in 2011 with her two youngest to work at Merck Animal Health. 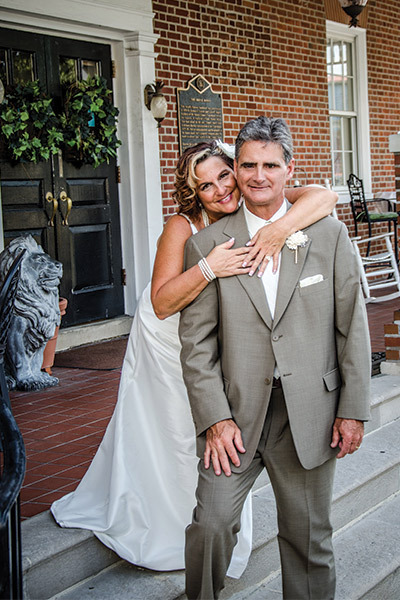 Roland, a native of Laurel, Del., was divorced with no children. 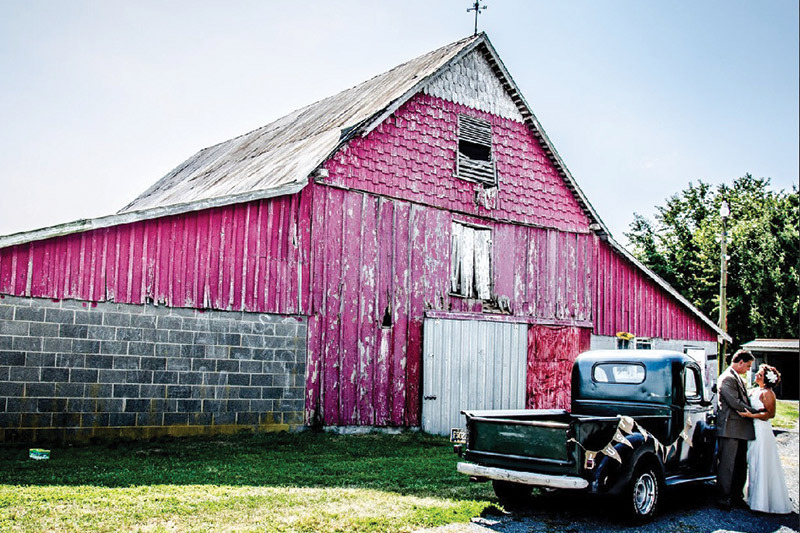 “This is the story of Country Boy meets Jersey Girl,” Roland says. They met at work in 2011. 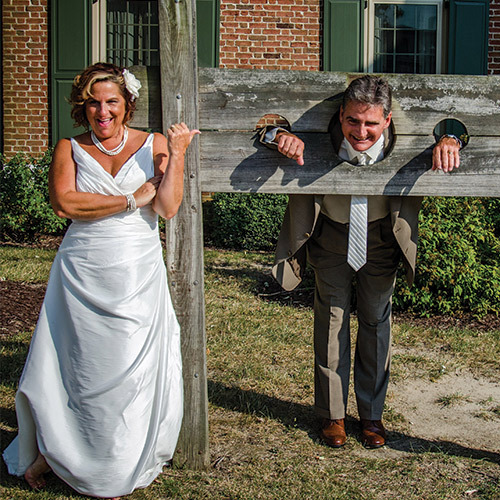 In late 2012, Donna asked him to a murder-mystery event, but he’d just started seeing someone. By January 2013, when a single Roland asked Donna out, she was in a relationship. Roland kept tabs on her through her friends, and in February 2015, he sent her an email with a link to the song “Who’s Holding Donna Now?” by El DeBarge. As luck would have it, she was single again. 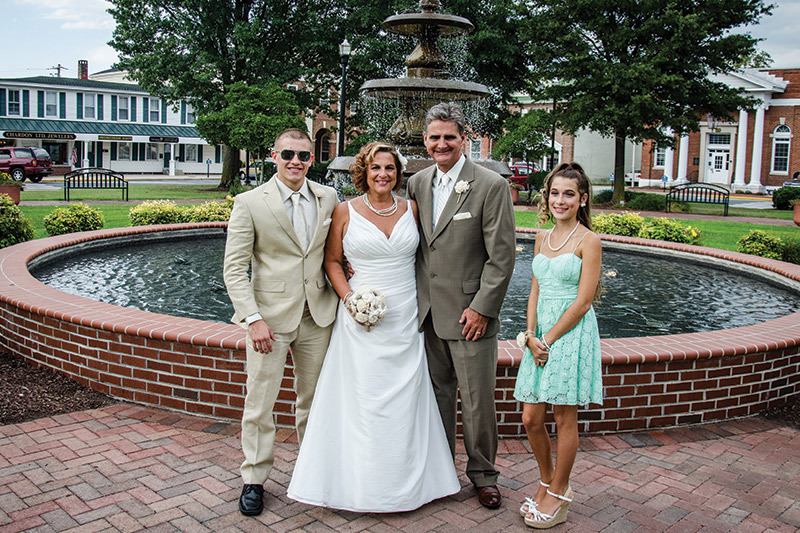 Their first date was on Feb. 27, 2015, at The Brick Hotel, a restaurant on The Circle in Georgetown, Del. After a few dates, he began asking her to marry him, and she “giggled like a schoolgirl” in response. Then, while sitting on a blanket on the sand at Rehoboth Beach, Del., waiting for her daughter to finish a shift at Funland, he asked again. This time, she said yes. They set a date: Aug. 26, just one day shy of the sixth-month anniversary of their first date. Some friends and family felt they were acting too hastily. 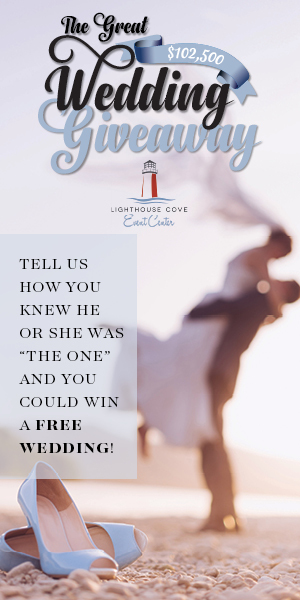 Consequently, and because they’d both been married before, they decided to have a ceremony for just themselves. Then two of her children and his parents wanted to come. Roland offered to pick up her 88-year-old father and her stepmother up from Washington, D.C., so they could attend the celebration. The list expanded to include coworkers and other family members. The final count: a cozy 28. They set the tone with rustic-style invitations from a vendor on ETSY, an online marketplace for distinct and artisanal goods. Printed on light brown stock with what looks like handwriting, the set included the invitation, RSVP postcard, envelope and twine tie. The price: Under $75. The tandem bike on the invitation saluted Roland’s passion for cycling and their life together. The invitation opened with “We found love right where we are,” a lyric from the Ed Sheeran song “Thinking Out Loud,” which they love. 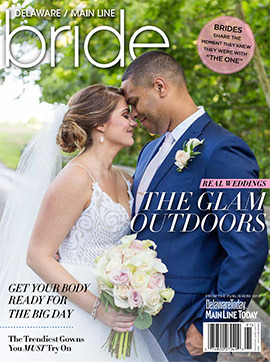 Donna also ordered her silk-and-fabric bouquet of off-white flowers—wrapped at the base with burlap and tied with tea-colored, vintage-looking lace—from an ETSY vendor, who also provided the boutonnières and her daughter’s wristlet. The total was under $100. Donna even got her ivory A-line gown on ETSY. The classic design featured a deep yet discreet V-neckline, slim straps and flattering ruching at the waist. Roland wore a suit the color of raffia and an ivory shirt. 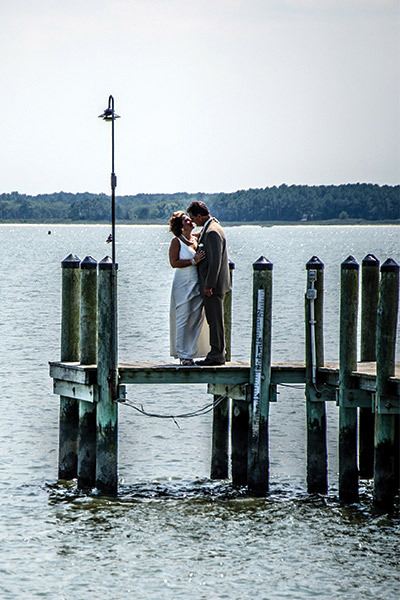 To incorporate the beach, they rented ivory tablecloths and turquoise-burlap-colored napkins. Tables were topped with Mason jars with a starfish on one side and a burlap flower on the other. Each jar wore a sunflower blossom from the sunflower garden that Roland planted for Donna, because she loves them so much. Dessert continued the beach theme. 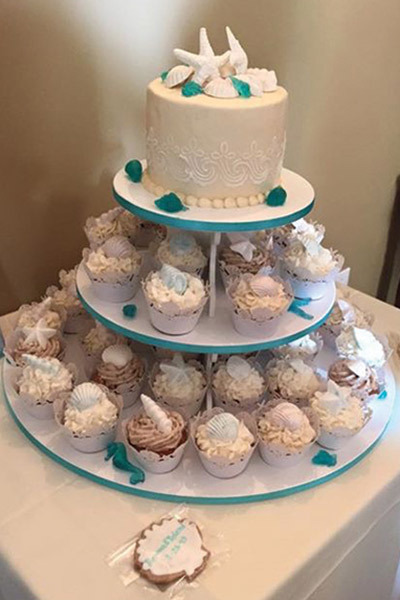 A small cake decorated with shells and starfish and candy that resembled sea glass, topped a tower of cupcakes, which was also garnished with shells. Crumb One Crumb All in Lewes, Del., custom-designed the cakes, and the flavors included banana, carrot cake and Italian cream cake. As favors, guests received cookies shaped like shells.